Six shooters who participated in the assassination of President John F. Kennedy, including three with ties to the Central Intelligence Agency (CIA), were named by a prominent critic of the Warren Commission Report (WCR). Remarkably, Lee Harvey Oswald, the Warren Commission’s lone-assassin-designate, was not among them. 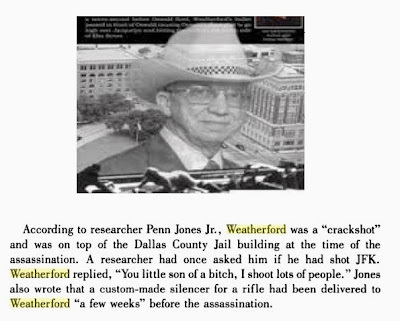 (1) The first shot that hit, which struck Kennedy in the back, appears to have been fired from the top of the County Records Building by Dallas Deputy Sheriff Harry Weatherford. 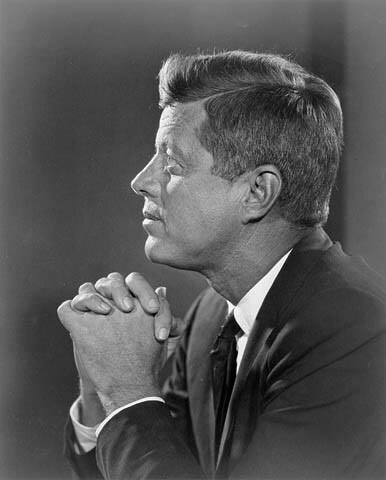 He used a 30.06 to fire a Mannlicher-Carcano (MC) bullet fitted with a plastic collar known as a sabot, which hit JFK 5.5″ below the shoulder just to the right of the spinal column. This was a shallow wound with no point of exit. (2) Jack Lawrence, a U.S. Air Force expert, who had gone to work for the automobile dealership that provided vehicles for the presidential motorcade just a few days before the assassination, fired the shot that passed through the windshield and struck JFK in the throat from the south end of the Triple Underpass.